As it’s a new year, it’s out with the old and in with the new. 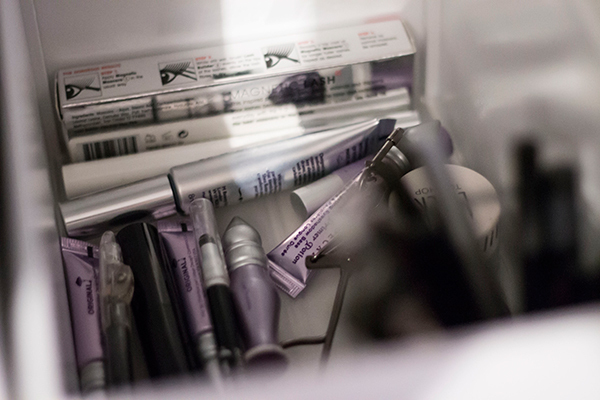 I wanted to have a clear out of my makeup and keep everything a little more organised. 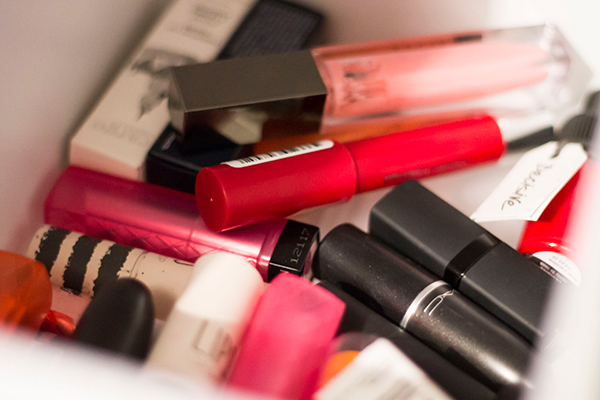 As much as I love watching all those makeup collection videos on youtube, I could never imagine myself having all those unused products lying around. I’m very much into having a small collection where everything gets used and anything I’m not using gets given away to people who will use it more. This year, I’ve done away with my acrylic storage drawers and opted for some internal storage to keep everything neat and tidy. When I was looking at different storage options, I found them to be quite limited. As lovely as the Ikea Alex is, I really didn’t need more furniture so I wanted to make use of the shelves in my 3 door wardrobe and find some drawers to put inside. 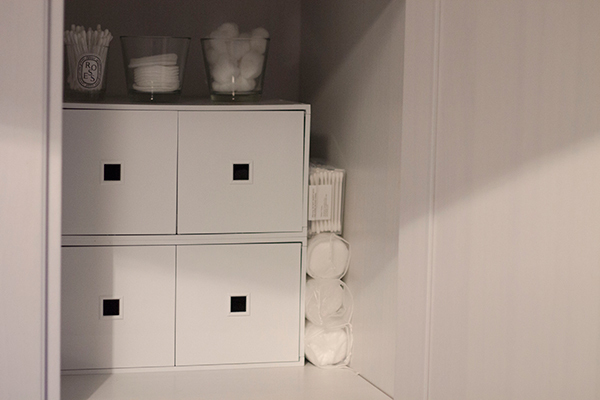 After searching for days I finally settled on the Ikea LEKMAN Mini Chest drawers in white at £9 each, picking out 3 with the 2 drawers and 2 with the large drawer. They’re extremely easy to build (all 5 built by myself in less than 30 minutes) and the drawers are pretty deep so there’s a lot of storage space. My makeup collection is basically split into 2 parts. The products I need for everyday are on the top shelf and on the shelf below are any extras I might need. The top two drawers store my eyeliners/spare mascaras on the left and makeup removers/setting sprays on the right. I try to stick to one mascara at a time so any that I haven’t opened yet or I’ve not been using at the moment get stored here. You can see I have quite a few Urban Decay primer potions, Eyeko mascaras and all my eyeliners such as Barry M’s Kohl Pencil and the Anastasia Beverly Hills eyeliners. 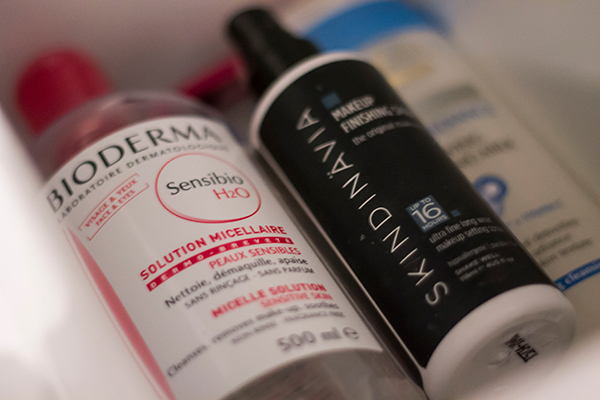 As I use a separate makeup remover for my eye makeup, it’s really handy having Bioderma in the drawer next to those products so I can quickly take them off. If I’m feeling a bit lazy I also have a cleansing milk from L’oreal and my trusty Skindinavia Setting Spray to keep my makeup on throughout the day. Next is my everyday makeup drawer on the left and primers/moisturisers on the right. If I’m not looking to do anything too adventurous I find having everything I use on a daily basis in one place really helpful. Once I use up products or if I’m in a mood to use a different blusher or lipstick I’ll swap products out every now and then. 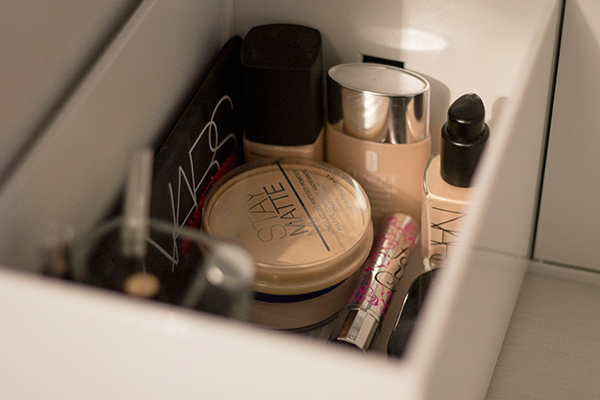 I have my usual NARS Sheer Glow foundation, Rimmel Stay Matte and all my everyday favourites. 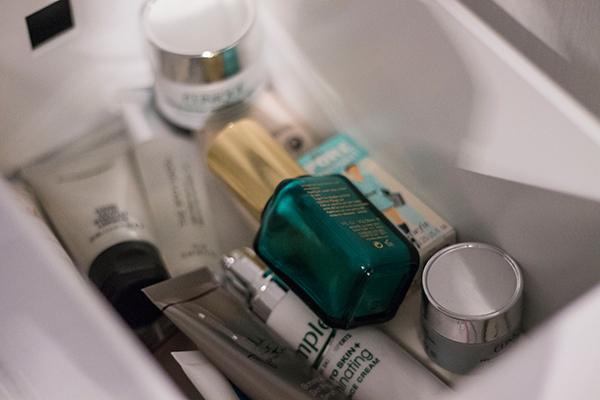 I have a whole mix of primers and everyday moisturisers including Wild About Beauty Serums, my La Roche Posay Effaclar H moisturiser and my Estee Lauder Idealist Serum I use on special occasions. The larger middle drawer holds a few smaller palettes but it looks so sad and empty that there wasn’t really anything there to photograph. The next drawer holds my lipsticks on the left and my blushers on the right. This is probably one of my favourite drawer sets out of them all because it’s so colourful and I can experiment with all different shades. I have quite a few Revlon Lip Butters, MAC Lipsticks and the only lipgloss in my whole collection from Burberry. My blusher drawer is slowly being taken over by Rimmel Stay Mattes, I can’t get enough of them! There’s also a few Topshop cream blushers and a stack of Natural Collection blushers too. 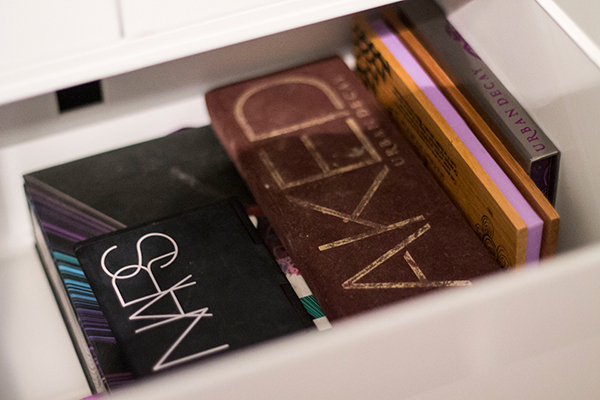 Last but not least, this large drawer holds all my makeup palettes. Sadly this drawer doesn’t get used as much as others as I’m not a huge eyeshadow wearer but for nights out/special occasions it’s always good to have a choice! I mostly have Urban Decay including the Naked 1, Ammo palette, Book of Shadows IV and the NARS Modern Love palette. I’m really happy with the way the drawers worked out. Everything has it’s own place and it looks a lot less messy compared to the acrylic storage I had previously. I like the fact that everythings contained and the storage is white which fits in with my decor really well and it keeps the chaos contained. It’s definitely still a work in progress as I want to find a few containers to separate products inside the drawers so if you have any recommendations please send them my way! 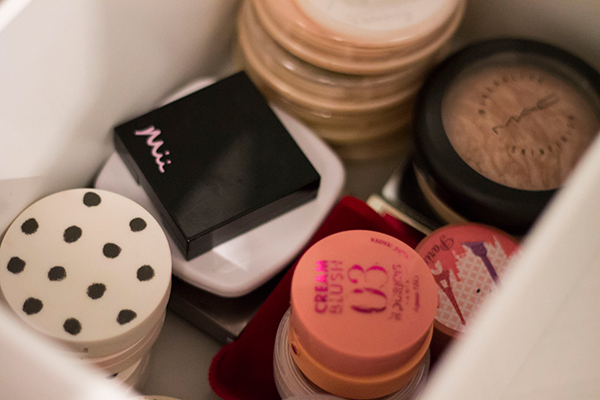 How do you store your makeup?